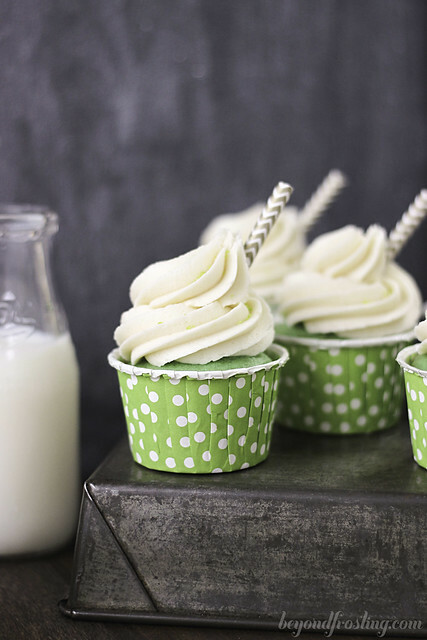 These mint flavored cupcakes are topped with a malted vanilla frosting. 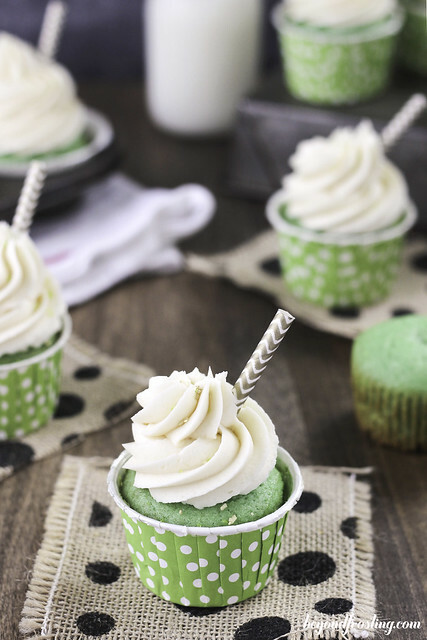 It is your favorite Shamrock Shake in the form of a cupcake! 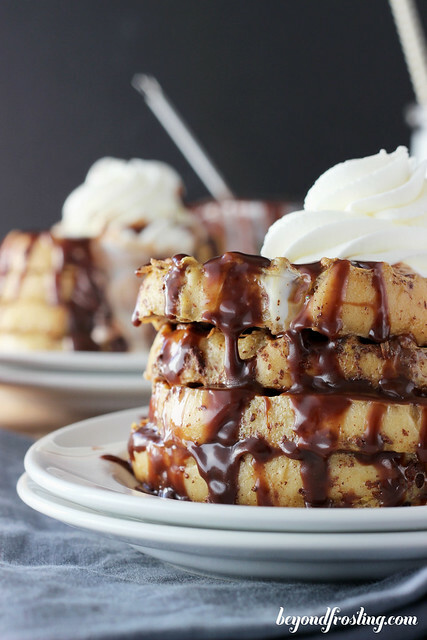 Plus they are spiked with a bit of Baileys Irish Cream. Every time I remember I have a bottle of Bailey’s Irish Cream in my cabinet, something wonderful happens. 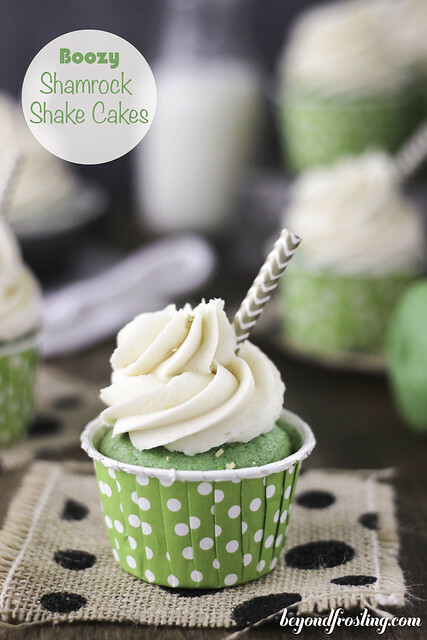 This time it is Boozy Shamrock Shake Cakes. 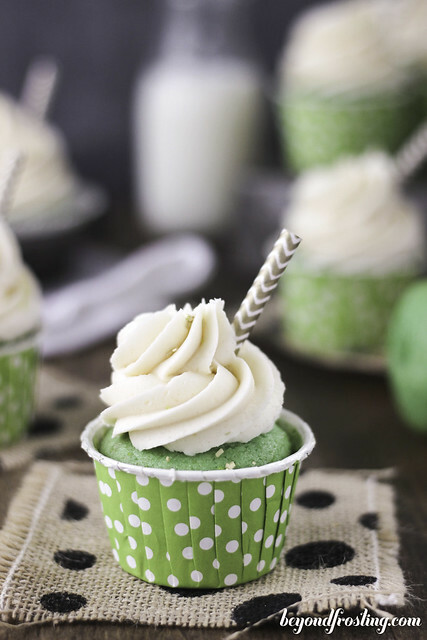 These festive green cupcakes are mint flavored cupcakes with a bit of Bailey’s in the batter. 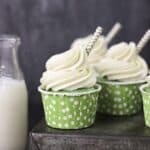 And, it wouldn’t be a milkshake without a little vanilla, so they are topped with a vanilla malt frosting, which is also infused with Baileys. When I used to live in my Vermont, my boss had a few key drinks that he looked forward too. If it wasn’t an eggnog latte, it was a shamrock shake. We would take afternoon drives to the nearest McDonalds, which was 15-20 minutes away, just to get a shamrock shake. I must admit, it has been a while since I had some myself, but I happen to LOVE the soft serve ice cream from McDonalds and I sure do love mint. Sometimes I feel ashamed to say how much I like their soft serve, but I have been known to stop at the drive thru for a child sized cone. For these cupcakes, I used a boxed cake mix, which I altered to add some extra vanilla and mint flavor. 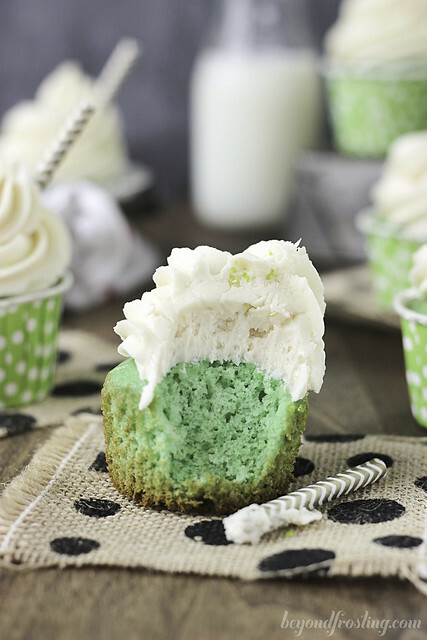 I used food coloring to turn these cupcakes green and flavored them with mint extract. They smelled SO good. I wanted to bring more of the milkshake aspect into these cupcakes so I topped them with a vanilla malt frosting and I whipped the heck out of it. 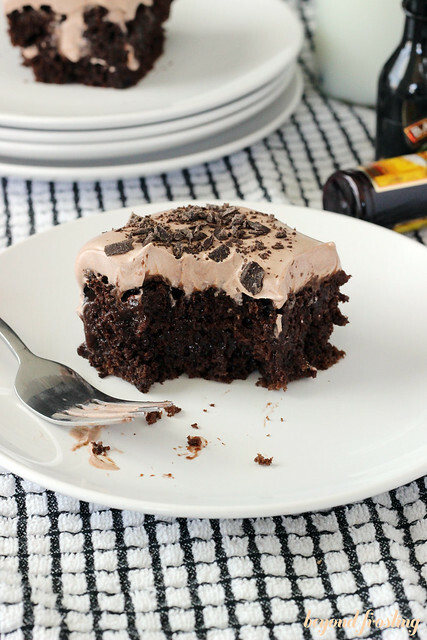 This is key in order to achieve a super fluffy frosting. You use your whisk attachment on the mixer and whip the butter first, and then add the powdered sugar and heavy cream. Once they’re mixed, beat it again, a lot! The malt powder adds a bit of the milkshake effect and I add that into the frosting when I add the powdered sugar. 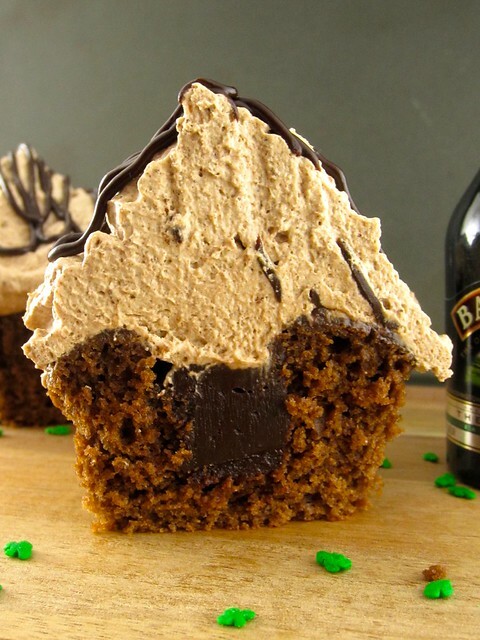 The Baileys in this recipe is optional in both the cupcake and in the frosting. 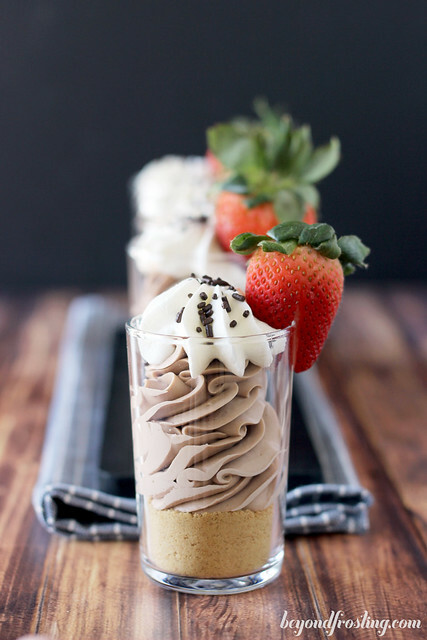 If you do not want to use Baileys in the cupcake, substitute it for milk instead. For the frosting, you add additional milk or heavy cream instead of the Baileys. 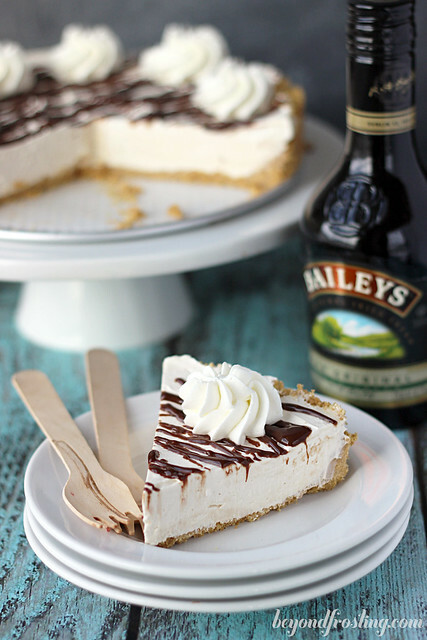 I just love the flavor that the Baileys adds, especially to the frosting! In a mixing bowl, combine vanilla cake mix, pudding mix, egg whites, oil, milk, Baileys and sour cream. Beat on medium speed until well combines. Add vanilla and mint extract. Mix until combined. Use a large cookie scoop (3 tbsp) to fill liners 2/3 C full. Bake at 350°F for 15-18 minutes. Insert a toothpick into the center of the cupcake. If the toothpick comes out clean, the cupcake is done. Butter should be at room temperature or slightly firmer, not melted. Beat on medium speed with your whisk attachment and beat until butter is light and fluffy. Add malt powder and beat until incorporated. Adding the vanilla extract at this stage will allow the mix to be smoother before adding the powdered sugar. Add powered sugar one cup at a time, beating on medium-low speed. The frosting will become quite thick. Add heavy whipping cream and increase speed to medium high. Beat for a couple minutes. This will help the frosting to be smoother and creamier. Add remaining powdered sugar. Once the powdered sugar is mixed, add the Baileys and increase speed to medium-high. Beat for 1-2 minutes on medium-high to incorporate air into the frosting.